Technological advancements and innovations in horticultural operations have revolutionized the age long profession and have in turn provided comfort and luxury for the operators and investors. This book is designed to provide the students with a good understanding of the various horticultural tools, description and areas of utilization in gardening and horticulture. 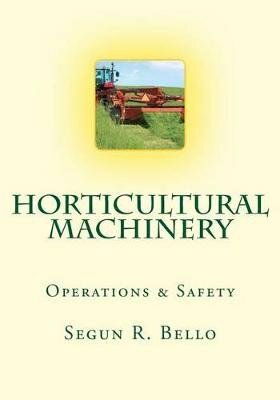 This book is packaged to provide the students with background knowledge of various horticultural operations, tool and equipment use. Written in simplified English with detailed graphic illustrations and pictures, the book is the perfect tool required in every home to in selecting tools and machines for horticultural and gardening operations.